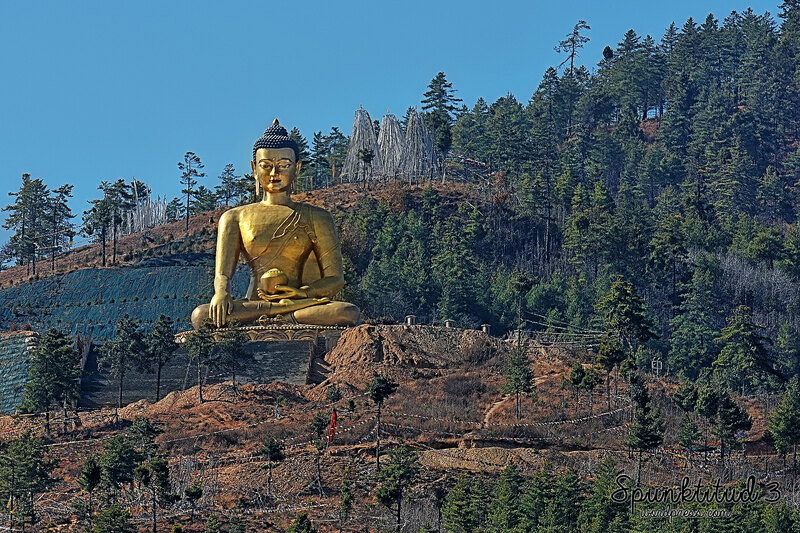 The Buddha Dordenma is an iconic monument sitting atop a forest hill overlooking Bhutan’s capital city of Thimphu. 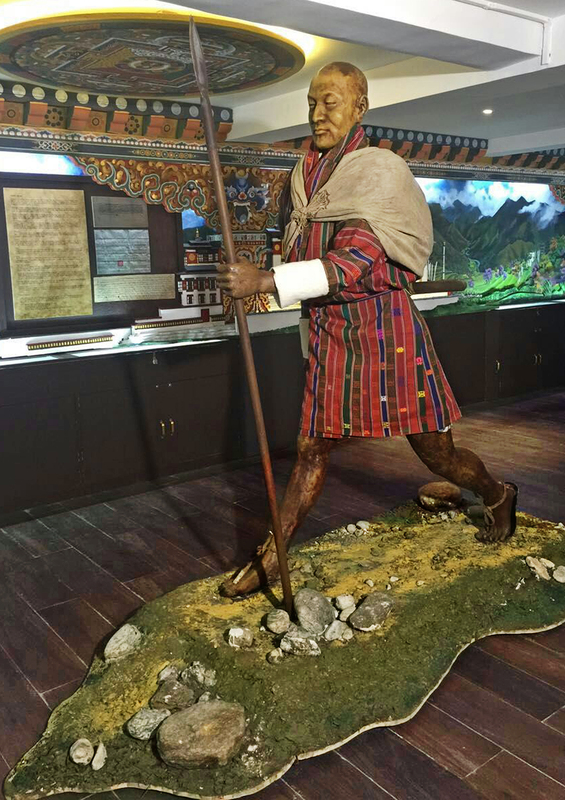 Viewable from any part of the city, the massive statue of Shakyamuni is sited amidst Kuensel Phodrang where the palace of Sherab Wangchuck (the thirteenth Desi Druk who ruled the country from 1744 to 1763) once stood. 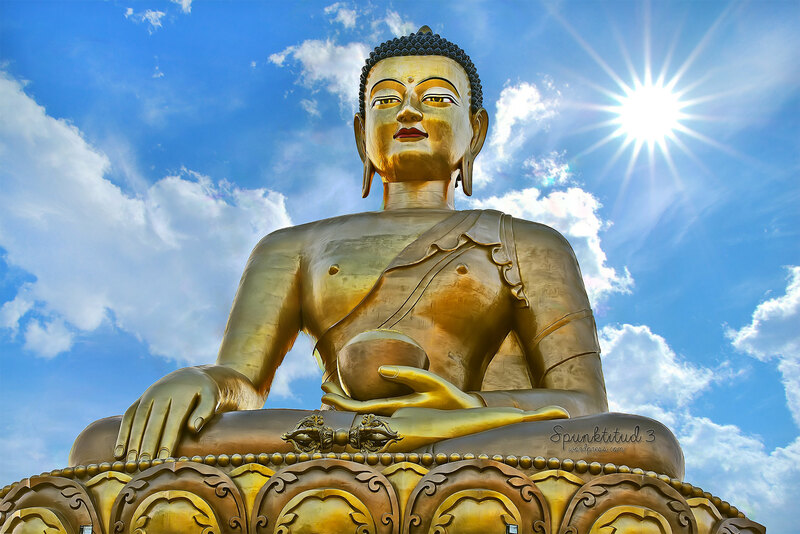 It is one of the largest Buddha Rupas (or statues) in the world measuring at a height of 51.5 metres. Made of bronze and gilded in gold, the statue alone cost USD$47 million. Manufactured in China, the statue was cut into pieces and then transported to site through Phuentsholing (imagine the awe of wide-eyed Bhutanese villagers seeing the gigantic head of Buddha at the back of a moving lorry, priceless). 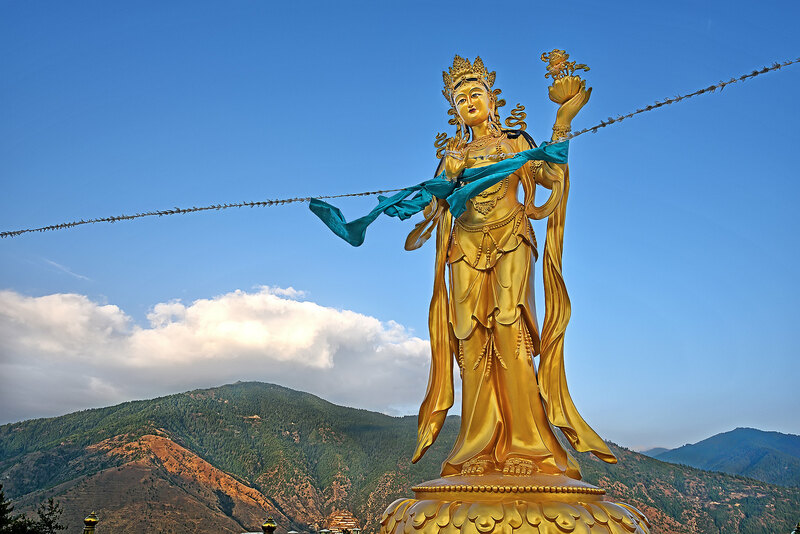 This is part of a greater whole, which includes the Kuensel Phodrang Nature Park, a 943-acre nature park inaugurated in 2011 to preserve the forests surrounding the statue. 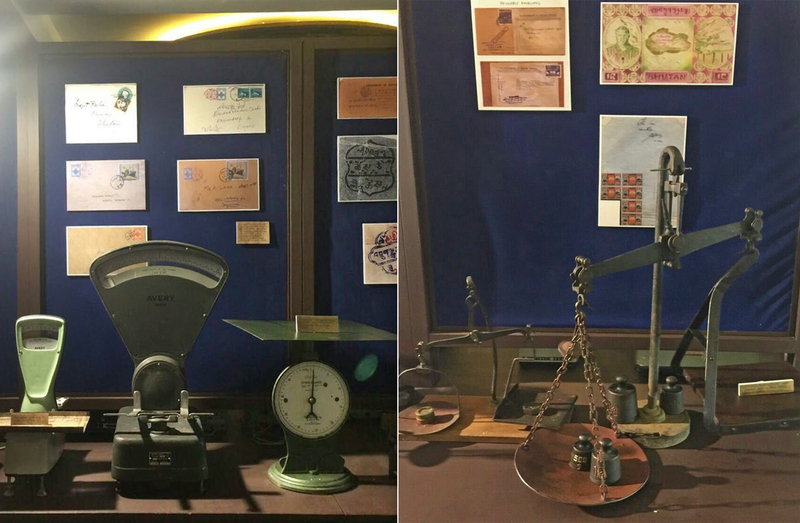 The entire project, which took about 10 years to complete on 25 September 2015, cost over USD$100 million. 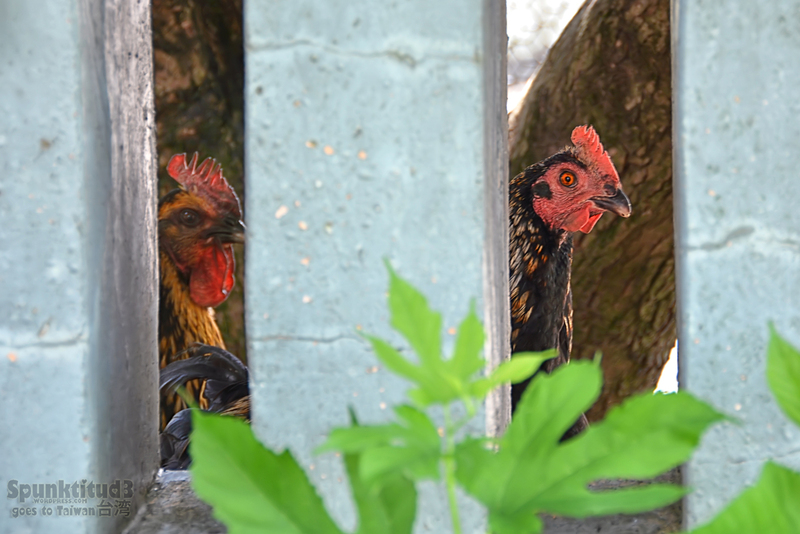 Locals and tourists alike embrace the park, which is popular for weekend family outings and its biking, hiking and nature trails. 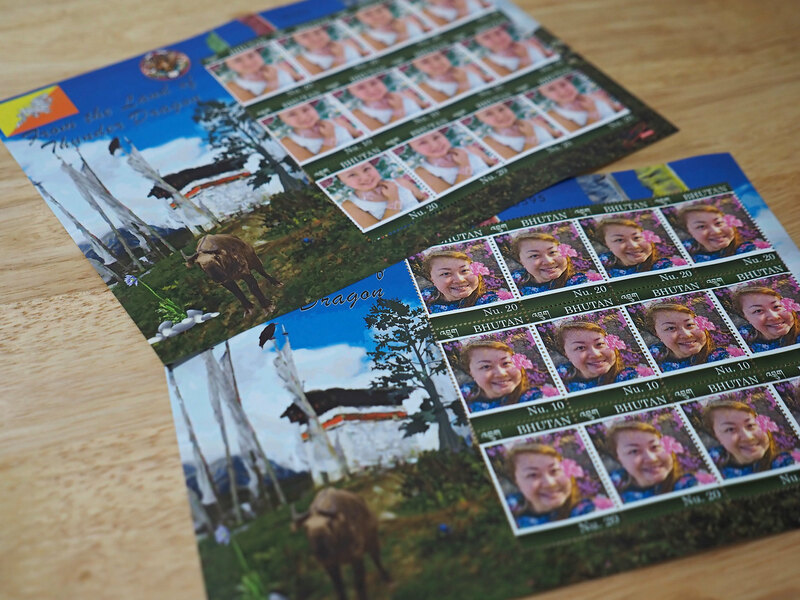 The park also hosted the Peling Tsechu, a three-day festival held in May 2016 to commemorate the birth of His Royal Highness Gyalsey Jigme Namgyel Wangchuck. 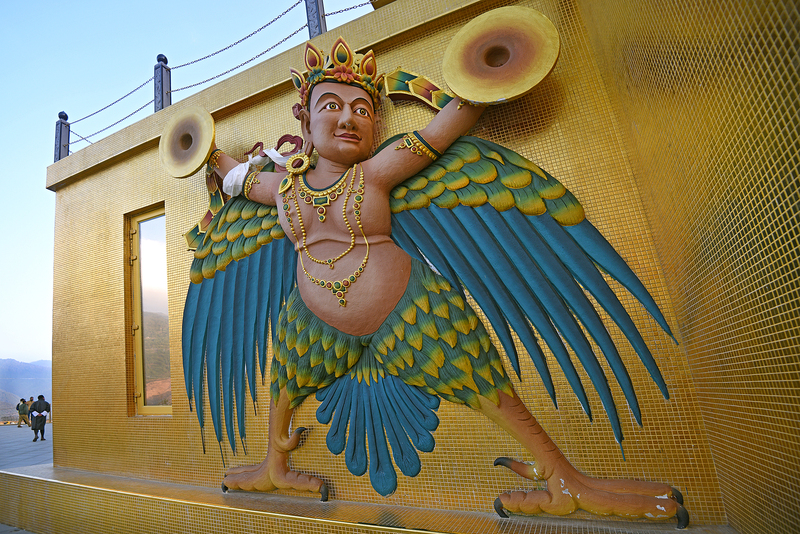 The three-storey base houses a large chapel, while the body itself is filled with 125,000 gold statues of Buddha. 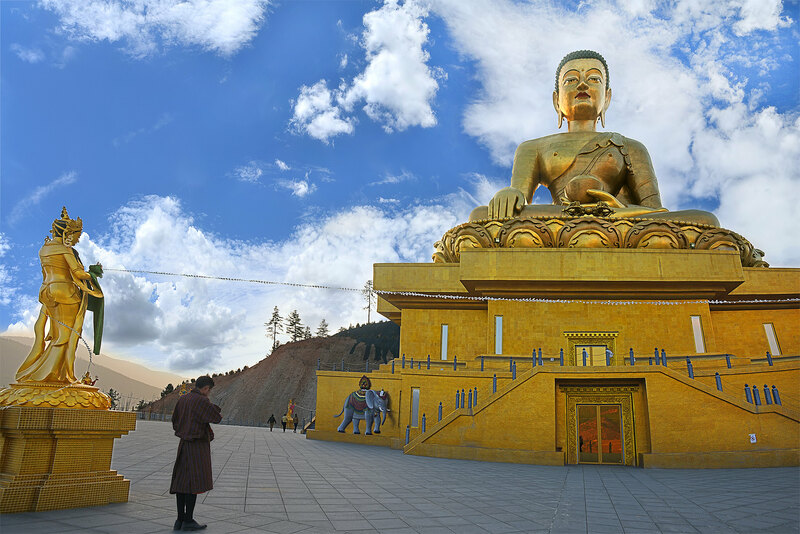 The statue is expected to be a major pilgrimage centre and a focal point for Buddhists all over the world to converge, practice, meditate, and retreat. 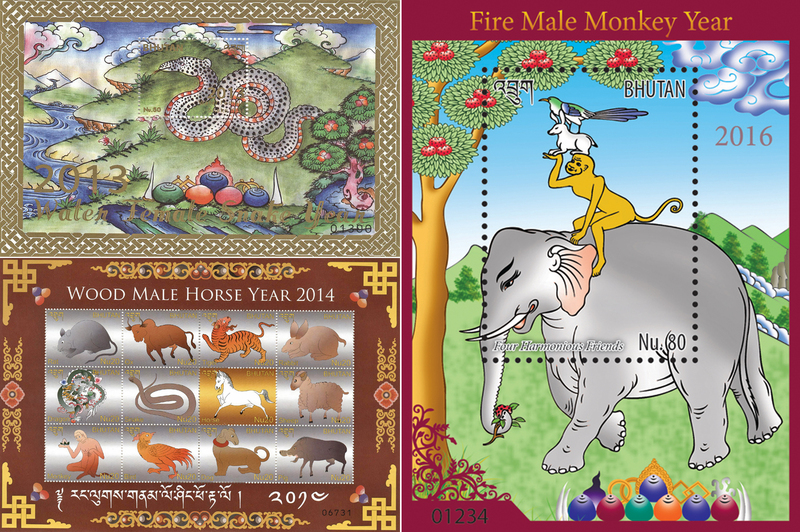 Apart from commemorating the 60th birth anniversary of Bhutan’s fourth king Jigme Singye Wangchuck, it fulfills two prophecies. 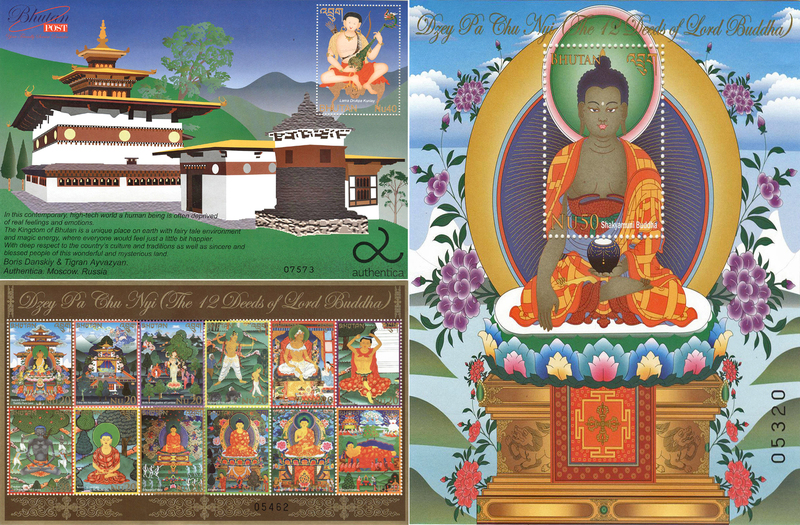 In the twentieth century, the renowned yogi Sonam Zangpo prophesied that a large statue of either Padmasambhava, Buddha or of a phurba would be built in the region to bestow blessings, peace and happiness to the entire world. 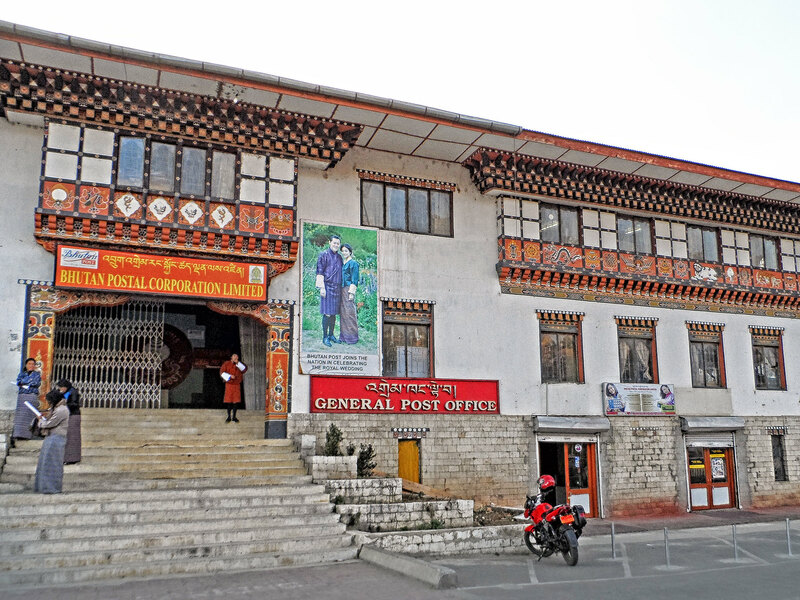 The statue itself is mentioned in an ancient terma of Guru Padmasambhava himself, said to date from approximately the 8th century, and recovered some 800 years ago by Terton Pema Lingpa (Religious Treasure Discoverer). For me, I am just happy to be blessed with such an amazing view. 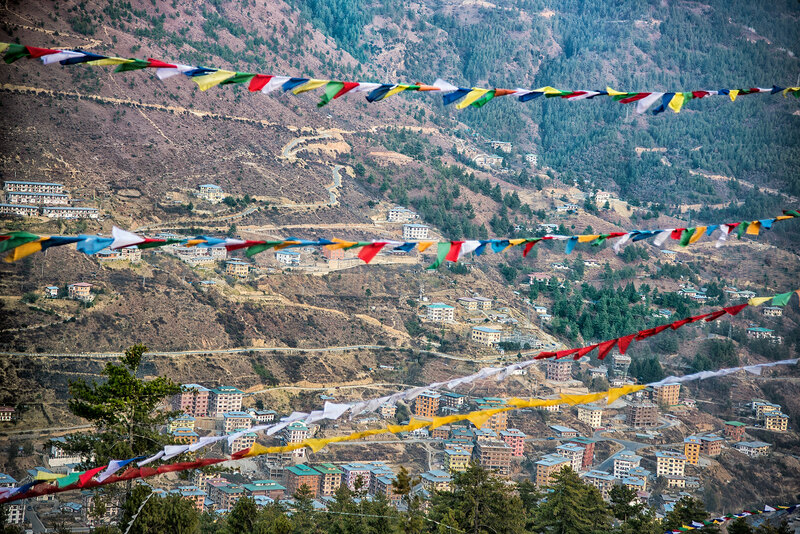 The Buddha Dordenma overlooks the Southern entrance to Thimphu Valley, and visitors can enjoy a vantage view of Thimphu nestled in the valley below. 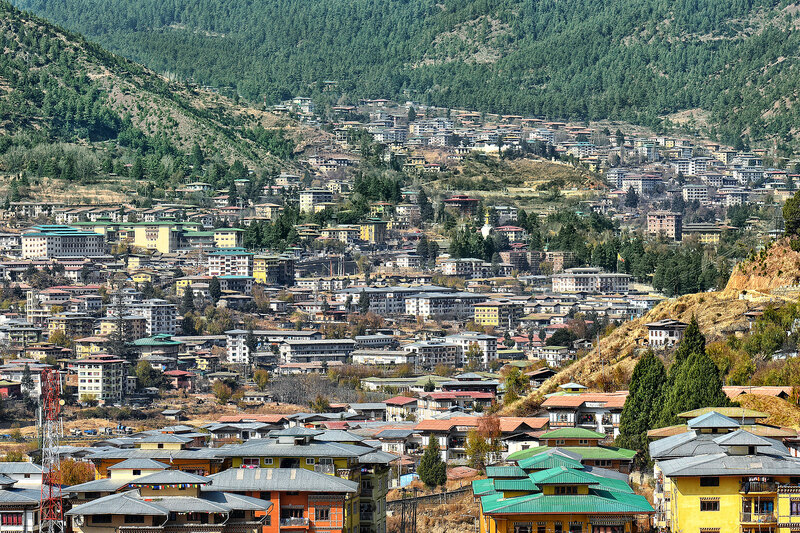 Thimphu being the capital city is the most developed and densely populated area in Bhutan, so this sight of closely-packed buildings is not the norm in other parts of the country which are mostly mountains, forests and farmlands. 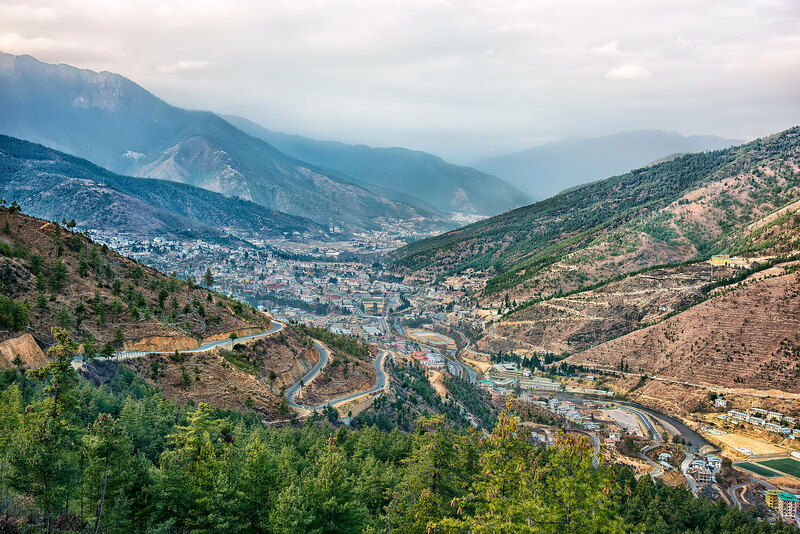 With urbanization, Bhutanese youths are increasingly migrating to Thimphu in search of white-collar jobs and a better life. I wonder how many dreams these buildings hold? 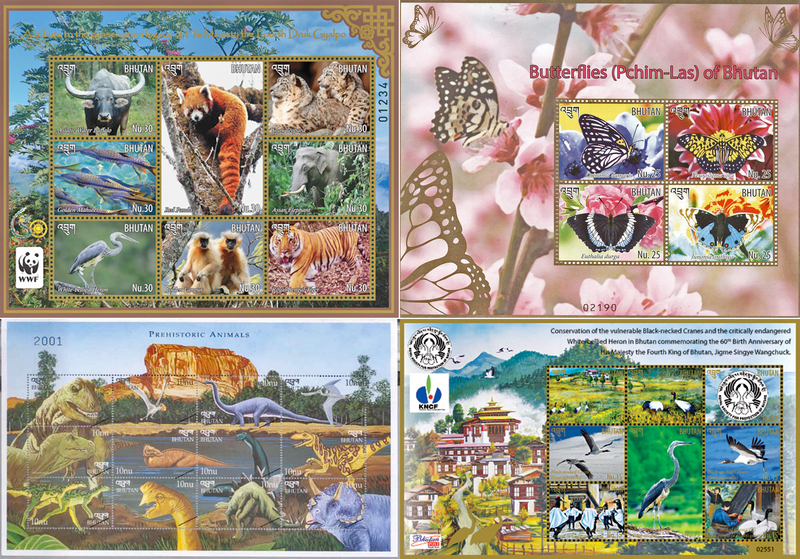 One thing I know for sure, Bhutan is not ready to give up their unique cultural identity for modernization, and the little kingdom is gingerly treading the waters of urbanization, step by step, without compromising on the values which they have held closely for centuries. 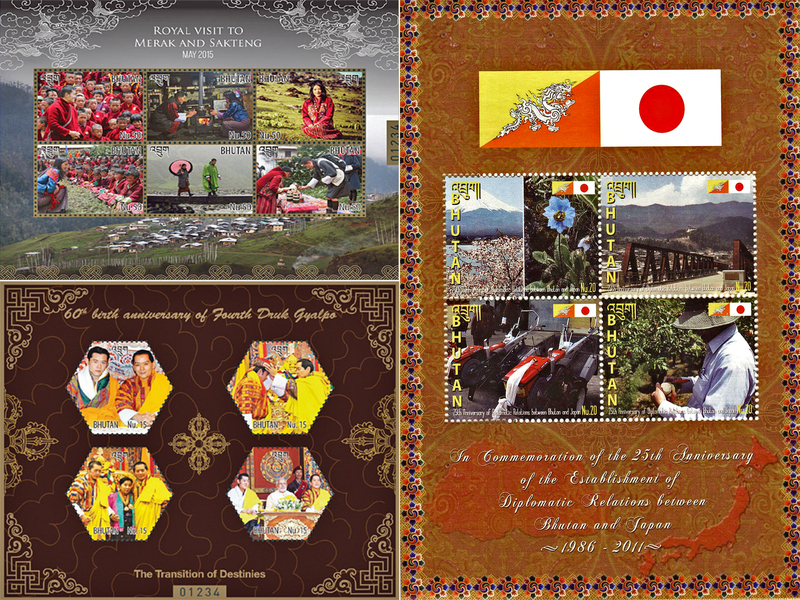 If there is a country left in the world who can find a delicate balance between culture and economic progress, it would be Bhutan. 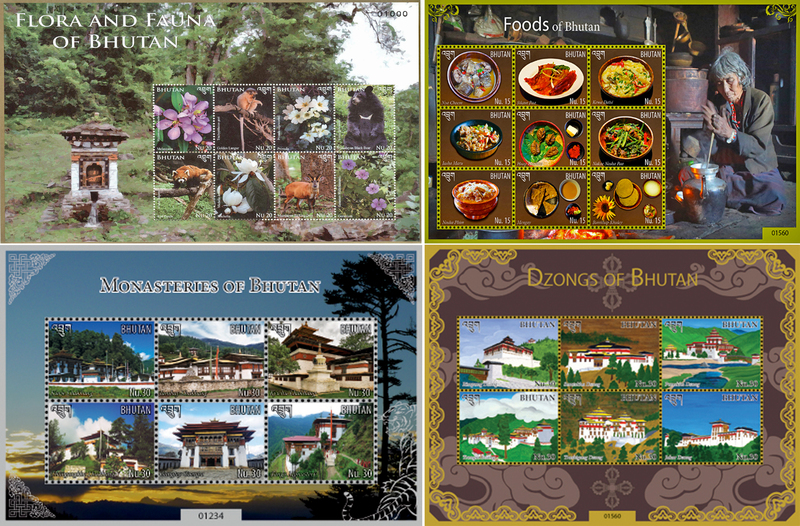 Categories: spunktitud3, Travel | Tags: amazing sights, ブータン, ภูฏาน, bhutan, bhutan sightseeing, bucket list, buddha dordenma, culture, 释迦牟尼, 金刚座释迦牟尼佛像, happiness is a place, historic landmarks, Kuensel Phodrang, Kultur, largest Buddha statue in the world, postaday, Reise, religion, thimphu, things to do in bhutan, things to do in thimphu, tourism bhutan, 廷布, 旅行, 不丹 | Permalink. I have been shooting with a DSLR for two years now, and I wanted to really get back to the basics of photography with a fully manual film camera, as a way to move on to the next higher level. So I made it a point to visit Siam TLR, which came highly recommended to me by my photography friends, during my recent trip to Bangkok. 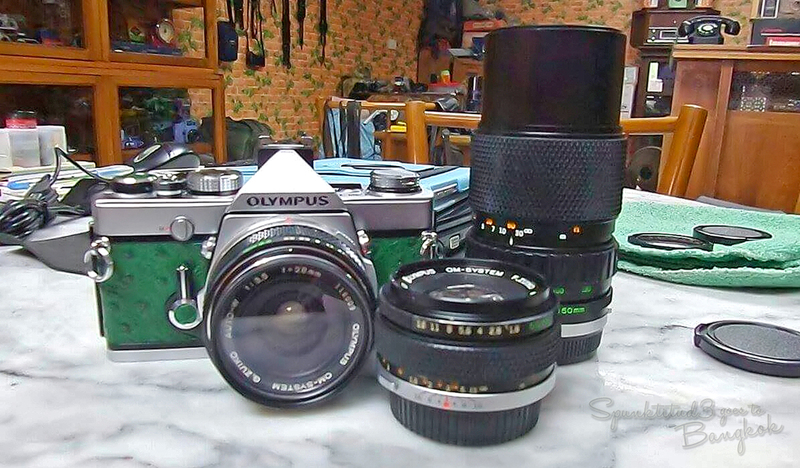 I stepped into the shop with nothing specific in mind, and I knew I had found THE ONE when the first camera that the owner showed me was this amazing green ostrich vintage darling. It was simply love at first sight. 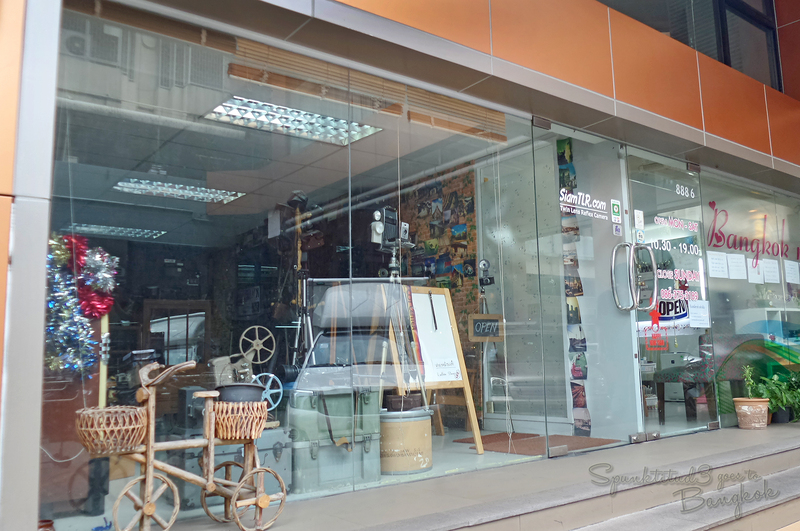 Siam TLR is relatively easy to get to, being located at Mahatun Plaza which is just next to Phloen Chit BTS. 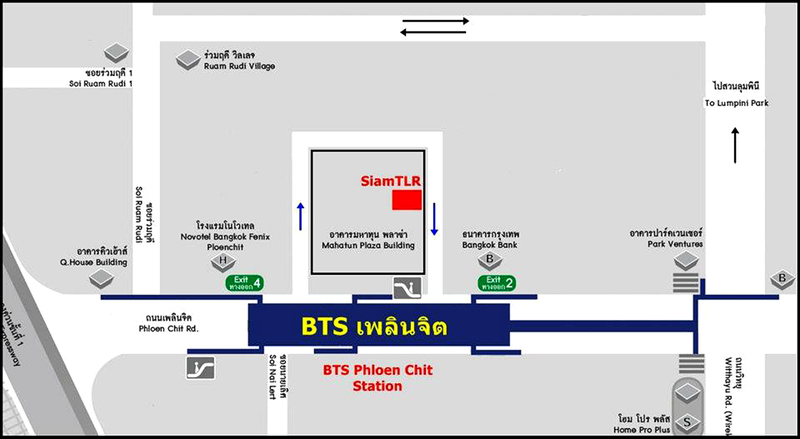 Take Exit 2 or 4 from Ploen Chit BTS. You can see Mahatun Plaza from the BTS itself. 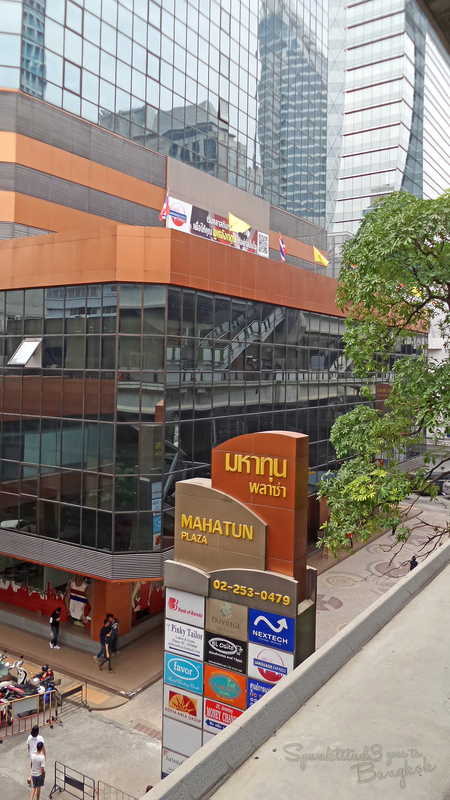 You do not need to walk into the building; Siam TLR is located at the side of the building where 7-Eleven is. I can remember the sense of anticipation as I approached the shop…which vintage hottie will I be bringing back with me? 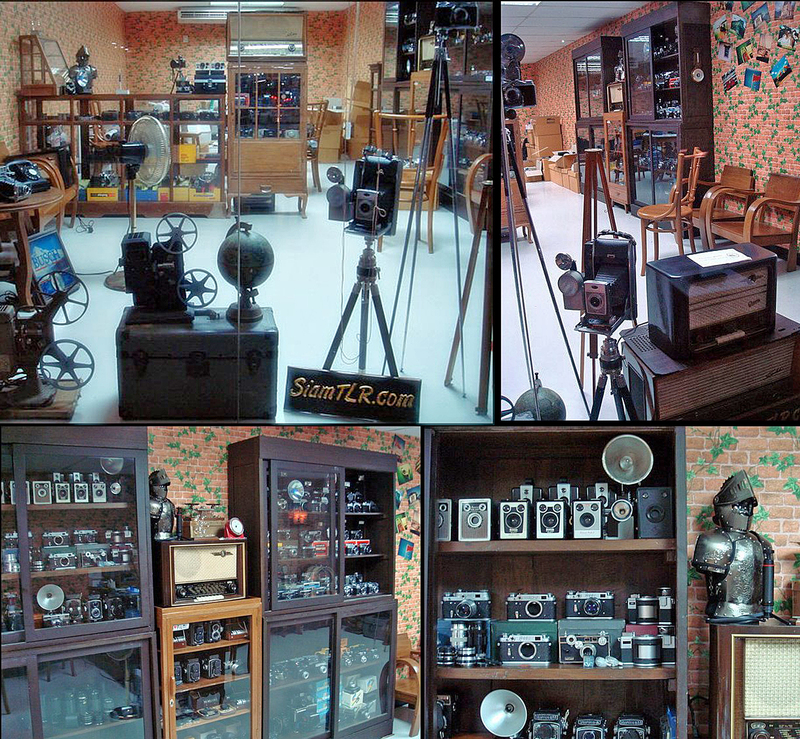 :) The spacious shop is basically an enthusiast’s workroom – rows and rows of lovingly-restored vintage cameras sit atop shelves, looking pristine and almost mint. 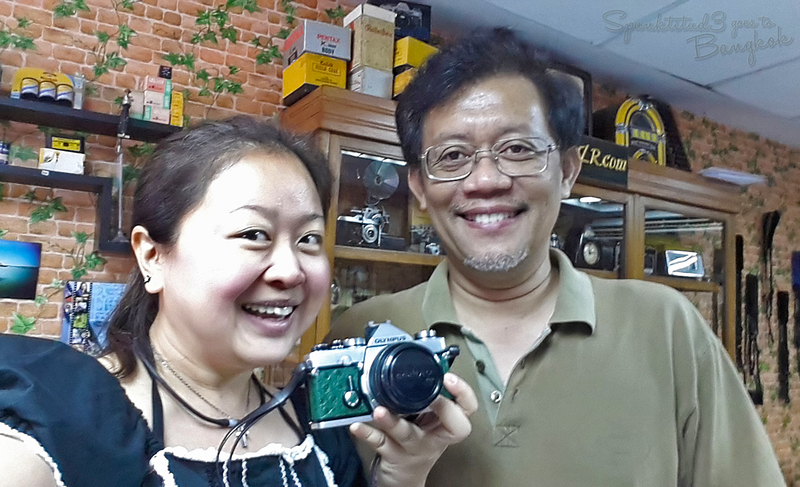 You can feel the love and pride of the the owner, who started out Siam TLR 10 years ago as a hobby and online resource for Thais who were interested in old cameras. 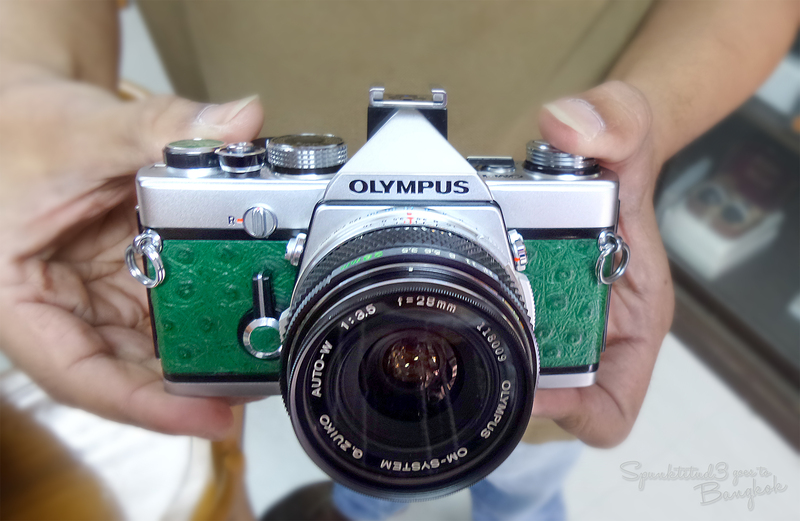 Khun Surasak restores all the cameras himself at the workroom, and if you are looking for an Olympus, Polaroid, Lomo or Kodak vintage camera, you are at the right place. Categories: Photography, spunktitud3, Travel | Tags: bangkok, cameras, 相机, film photography, flim cameras, olympus EM-1N, photography, retro, Siam TLR, thailand, travel, vintage, vintage cameras, vintage olympus, 古董相机, 摄影, 旅游, 曼谷, 泰国 | Permalink. 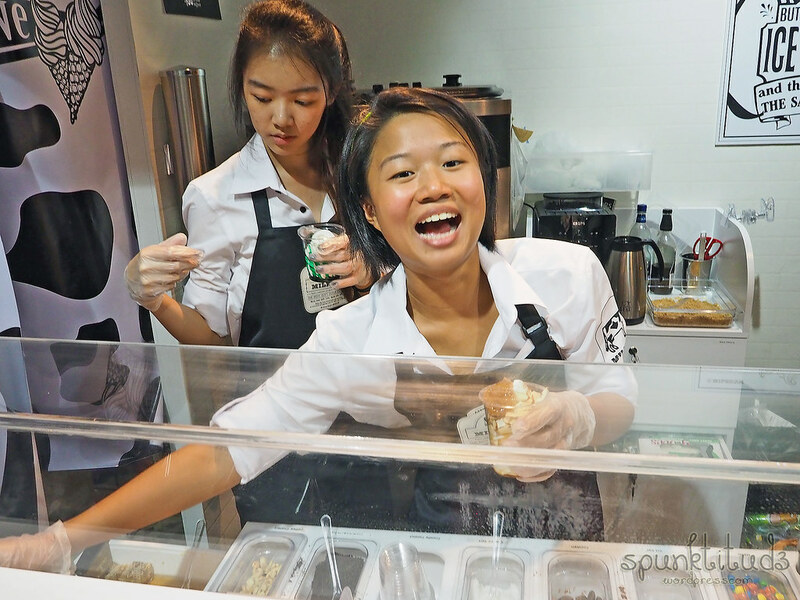 Known for its healthy and organic soft serve ice cream, Milkcow finally opens in Singapore. 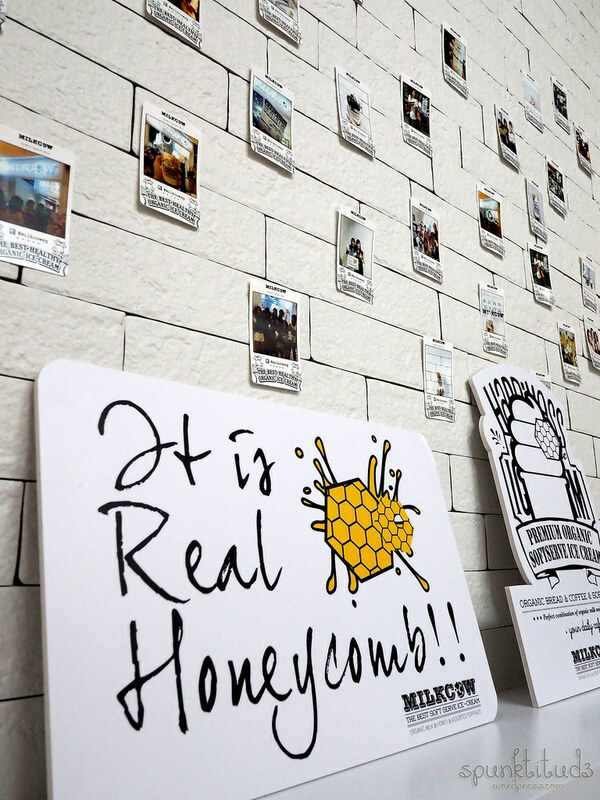 Being one of the two Korean brands (the other being Softtree) who started the trend where soft serve ice-cream was paired with a piece of honeycomb, I was quite keen to try after having tasted Honey Creme and Sunday Folks. 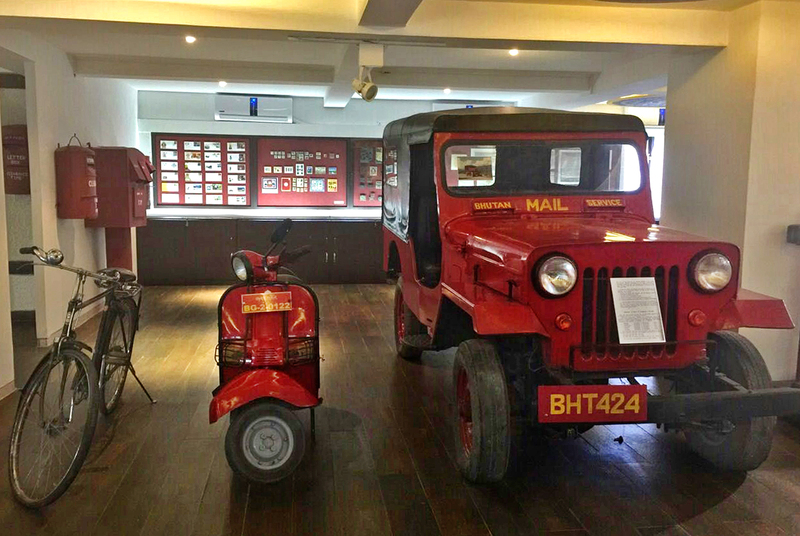 The store is located on the ground floor of The Cathay. 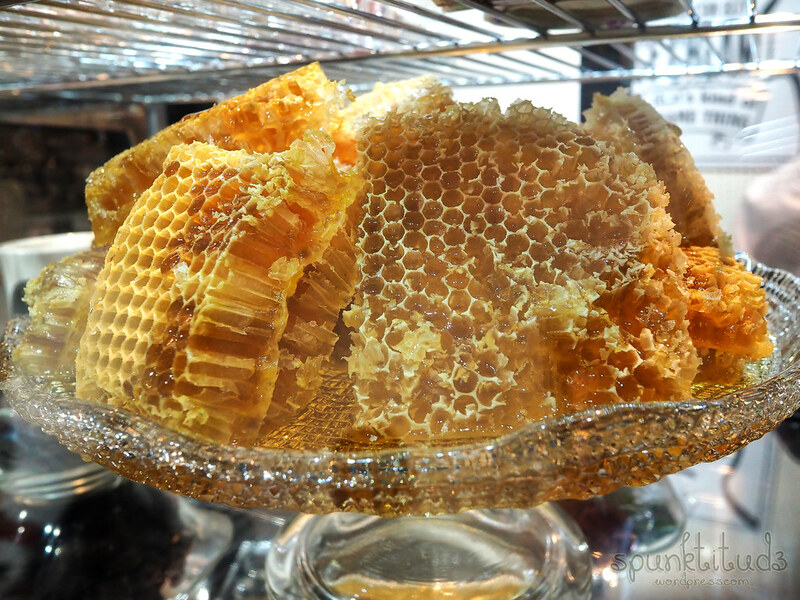 I was SO relieved there wasn’t a crazy queue like at the opening of Honey Creme. 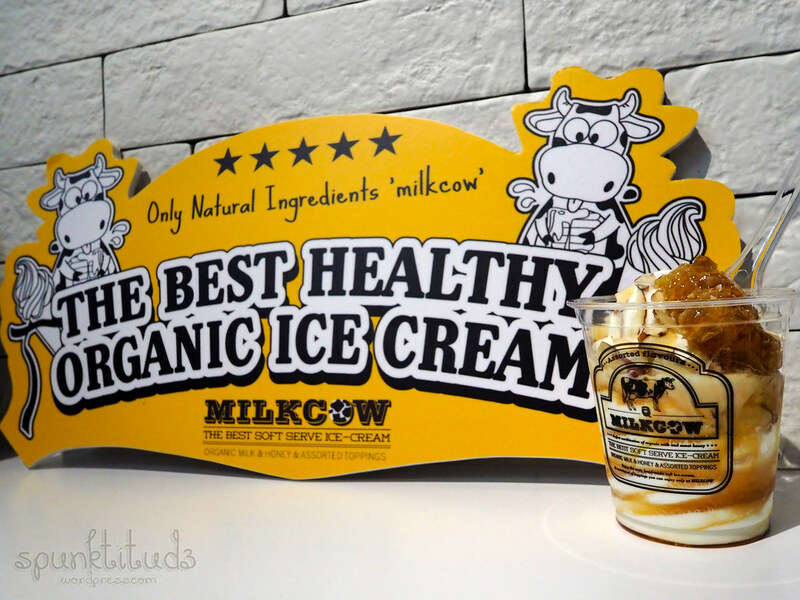 Milkcow’s premium soft serve is made from 100% organic milk sourced from Italy for a deeper and richer taste. 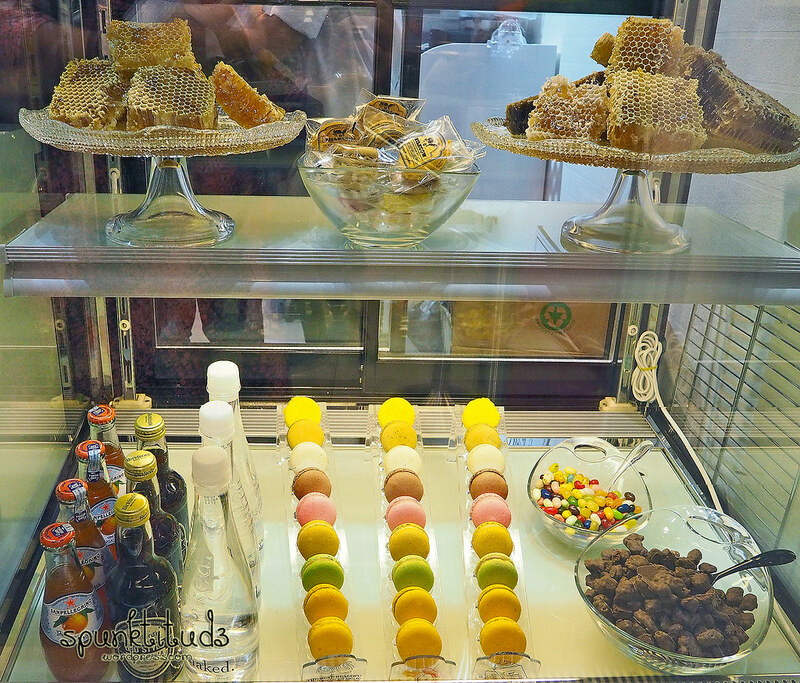 You can choose from various toppings such as natural honeycomb, macaroons, cotton candy and interesting sauces such as red ginseng and cool mint. 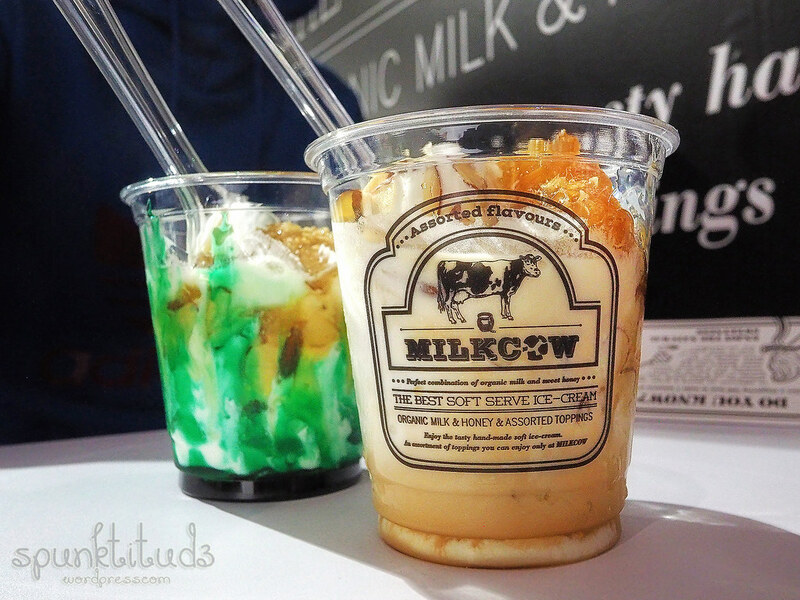 Milkcow uses 100% natural honey sourced from honey farms in Sydney and Tasmania. 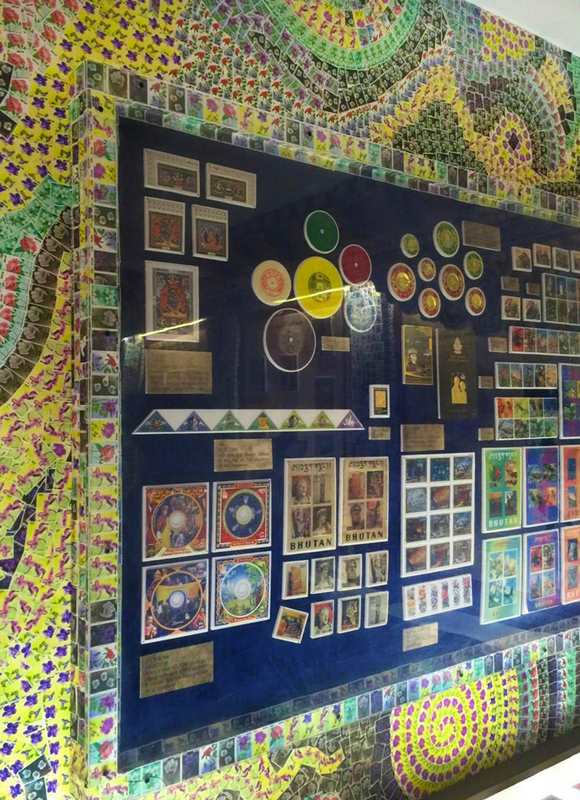 There are 14 flavours to choose from. 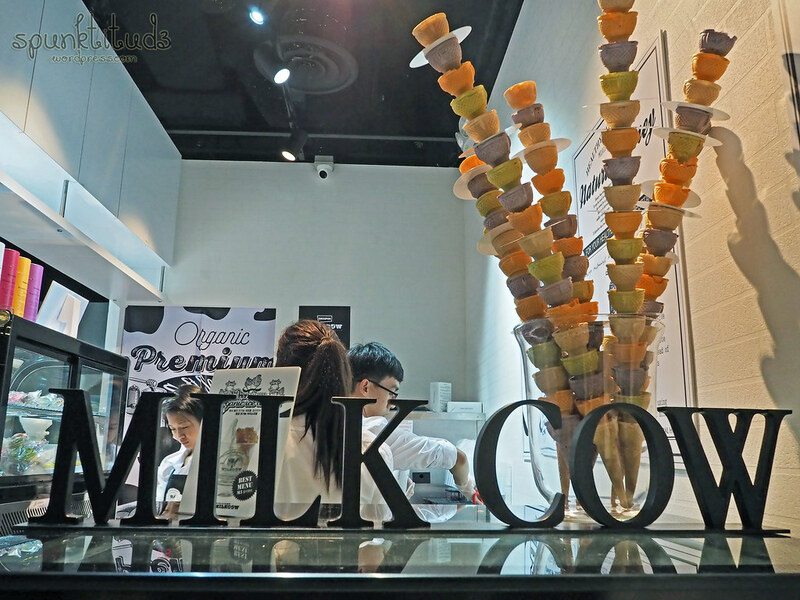 What the staff recommended us was M2 Milk Honey, M3 Milky Cube and the very photogenic M5 Snow Drop. 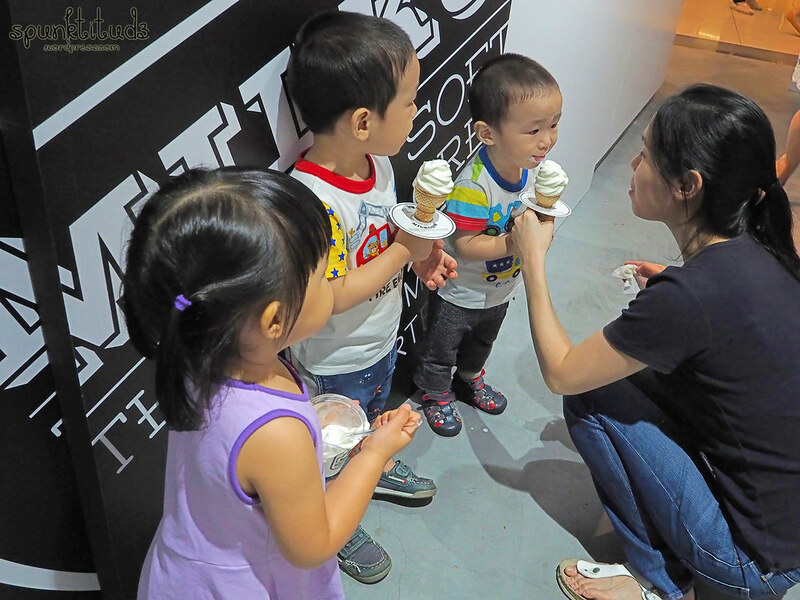 Saw these 3 cute kids posing for photos with their soft serve. The shop space is not big, but loads of props for you to take Insta-worthy photos with. I opted for M9 Samsam Red Ginseng syrup with Almond Flakes cos’ it was the most interesting and Korean-ish flavour, and added the signature Honey Cube topping for extra oomph. 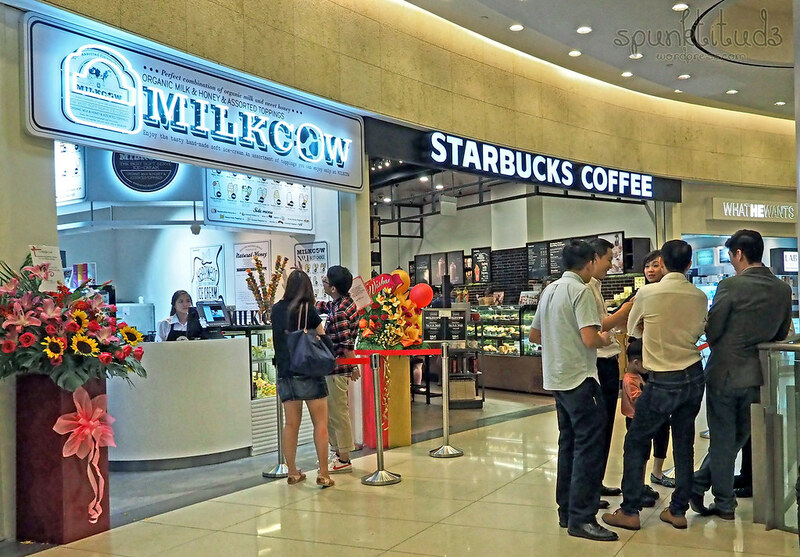 Tag your Instagram photos with #milkcowsg and you can get your photos printed by the store staff. 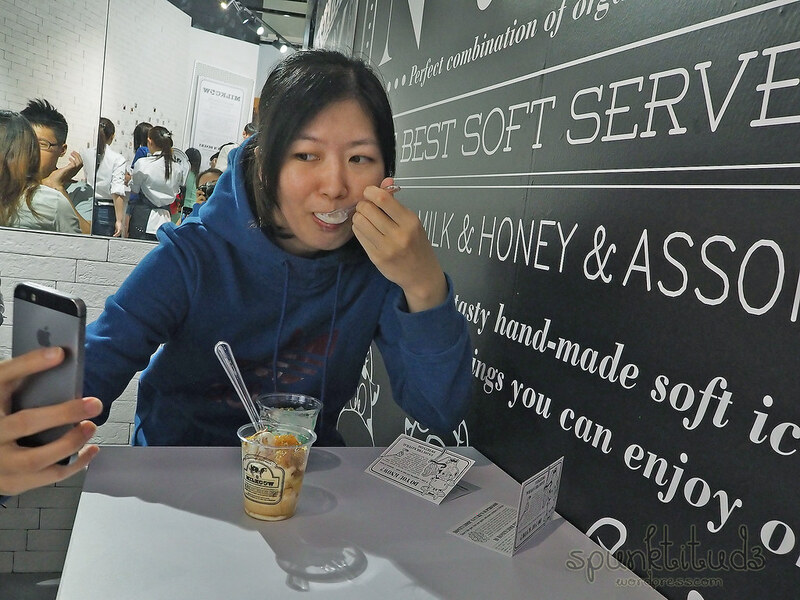 Overall, I felt that the soft serve was sweeter than the rest I have tried, a good honey-ish type of sweet. I enjoyed the crunchy almond flakes, although I must say that the staff needs a bit more practice with presentation as neither of our soft serve looked very pretty lol. 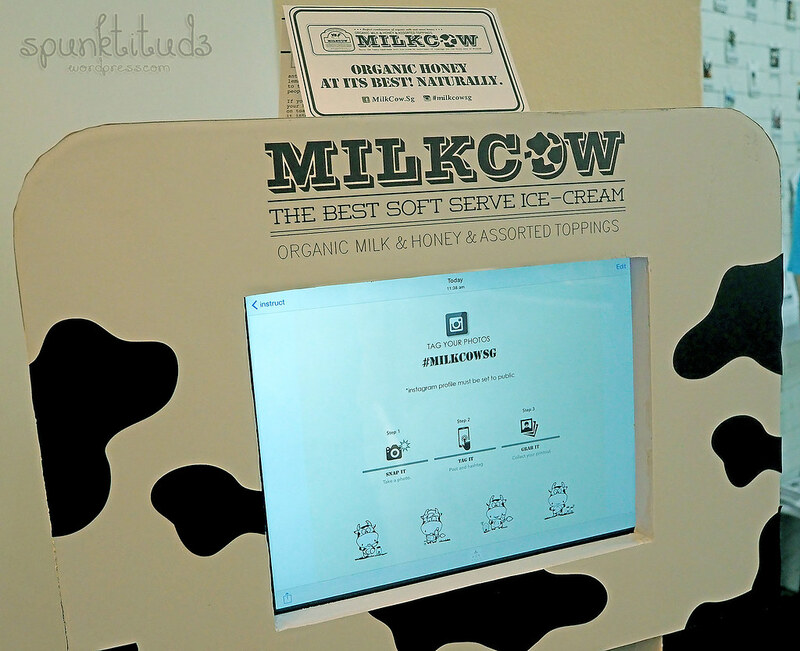 I like that Milkcow uses natural products, and I definitely appreciate the fact that I didn’t need to wait for an hour to get a lick, so I would pop by to try other flavours the next time I am in the area. 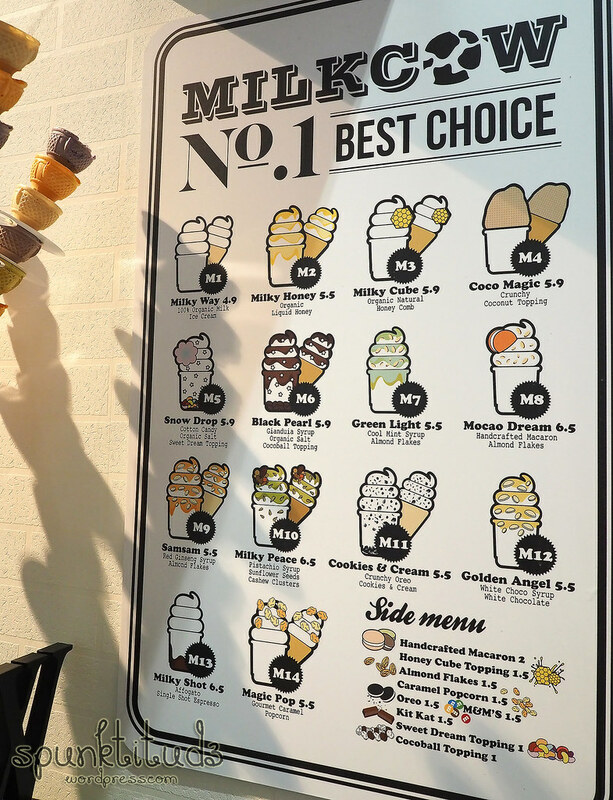 Categories: Food, spunktitud3 | Tags: ソフトクリーム, ミルクカウ, best ice cream in singapore, dessert, 밀크카우, ice cream, milkcow, singapore, soft serve, The Cathay | Permalink.